Mobile technologies are having a dramatic effect on the way we live, work, learn, and play. 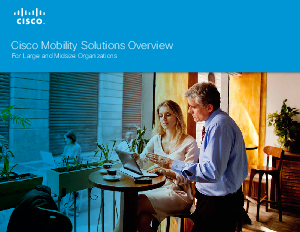 While organizations recognize that the impact of mobility could be as great as that of the web, many are struggling with what exactly to do about it. IT leaders have the opportunity to direct this transformation. To help apply mobile technologies to transform the way we all work. And to enable organizations to better engage with mobile consumers of their products and services.